If there is one thing that IDP enthusiasts can’t get enough of, it’s mock drafts. The actual NFL Draft usually isn’t even over yet and my Twitter is blowing up asking when we’re going to have a mock and if the offensive players are going to be included. 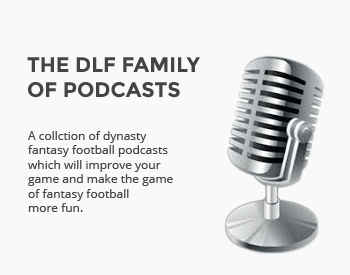 Well, I’m happy to say that the DLF IDP team held not one, but two mock drafts last weekend. This article will walk you through both six-round drafts, comparing and contrasting them, plus I’ll through in my pair of pennies about what I thought was a good pick (Spoilers: all mine were brilliant), and some that made me raise my eyebrows. Excellent. Keep the IDP stuff flowing. Every league I am in has IDP. I wish I would have had this 5 days ago when our 14 team Superflex, IDP league started the rookie draft. But as it is, a little validation. I got D Leonard at 3.07 and Vita Vea at 6.14 (Mr. Irrelevant In our draft). So all is good relative to your mocks. Thanks for stepping up and putting this out. You and Kislingbury have been doing a great job on the IDP side. This is the first mock I’ve seen on DLF this season that’s going to look like my draft this weekend. Honestly, I find it a little surprising that more combined IDP isn’t on the site. Would love to see a Top 200 for combined IDP in the rankings or even IDP rankings where the positions aren’t separated so they can be compared. The Forum is an excellent resource but I believe there’s still room to improve. Keep it up. Thank you gentlemen. It is much appreciated. Awesome seeing how drafts shake out with combined IDP and offensive players. The mocks in years past that were pure IDPs were nice to have, but this is truly useful. Thank you! Keep ’em going through the off-season please. 🙂 It’s great to see how stuff evolves as we see more of these guys in OTA etc.